Momentum shift or temporary lapse? Following another exciting Autumn series, many fans have been pleasantly surprised by the steps made by their nations as they build towards the World Cup in England. While home nations fans have been delighted by some encouraging performances, supporters of the Southern Hemisphere giants – with the exception of New Zealand – have been left looking anxiously over their shoulders as the likes of England, Ireland and Wales show that the gap in class between the North and the South is shrinking ahead of England 2015. So with just under a year to go before the World Cup, is this a permanent shift in momentum from the North or a temporary lapse of concentration from the South? Ireland. Undoubtedly, the stars of the Autumn series with a fantastic clean sweep of results which saw them overcome South Africa, Georgia and Australia, to go undefeated in an Autumn series for the first time since 2006. 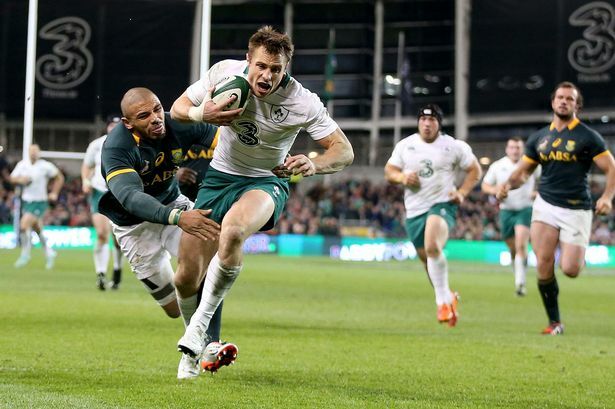 Led by the inspirational Paul O’Connell, Joe Schmidt’s men continued from where they left off from their Six Nations triumph with a highly impressive 29-15 victory over a Springbok side, who in their previous game had ended the 22-match unbeaten run of world champions New Zealand. Ireland dominated a thrilling test match showing both sides to their game with a well-worked line-out leading to Rhys Ruddock’s try before quick-thinking from the ever-improving Connor Murray led to Tommy Bowe scoring the decisive try in the second half to take the game away from a shell-shocked South Africa. A routine victory over Georgia with a much changed line-up followed before a narrow 26-23 victory over Australia rounded off their perfect campaign. The victory over Australia was especially sweet in many ways as they overcame the Wallabies despite not playing as well as they had against South Africa, showing that even when not on top form they are still capable of overcoming some of the world’s best teams. Marshalled expertly by arguably the form fly-half in world rugby – Jonny Sexton – Ireland mixed their game up perfectly with Sexton’s use of tactical kicking gaining a foothold for a strong Irish pack, while his passing game allowed the Irish backs to create many a try-scoring opportunity over the three games. With key players to return in the shape of Lions duo Cian Healy and Sean O’Brien, Ireland go into next years World Cup as the dark horses for the trophy having show-cased their credentials against the very best this autumn. As for Scotland, the signs are encouraging under new coach Vern Cotter after a solid autumn campaign which saw them beat Argentina and Tonga, as well as running an under-strength New Zealand close before going down to a narrow 24-16 defeat. 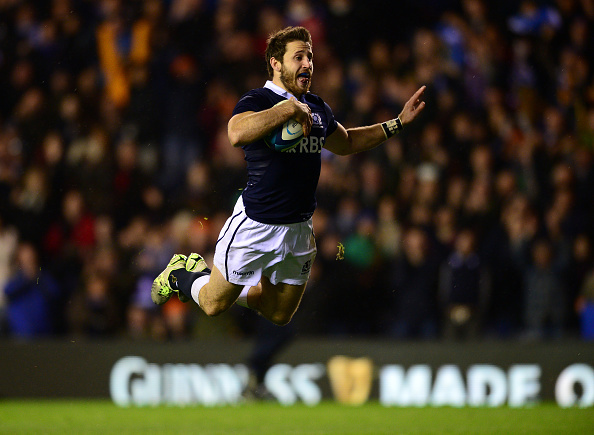 Arguably the most impressive achievement from Scotland in this series has been their ability to cross the white-wash. For years, Scotland have relied too heavily on a solid pack winning kickable penalties to make up for an uninspired back-line which has failed to ignite, despite the potential of players such as Stuart Hogg and Sean Maitland. Under Cotter however, Scotland have ran in eleven tries in three games with two five-try victories over Argentina and Tonga respectively. Looking ahead to the Six Nations, the new coach has got Scotland expressing themselves more, leading to greater excitement for fans who had become disenchanted with the dire rugby served up too regularly over the years. Stuart Lancaster’s England side finished a mixed autumn series with a morale-boosting victory over 2015 World Cup Pool rivals Australia. After narrow defeats to New Zealand and South Africa in their opening two games, fans were growing frustrated with a lacklustre team who had the potential to overcome these sides but were being undermined by basic errors and poor decision-making. Lancaster’s faith in the out-of-form Owen Farrell looked to be costing England vital scalps as the World Cup approaches, and it was no surprise that victories over Samoa and Australia came about after Lancaster dropped half-backs Care and Farrell to replace them with Ben Youngs and George Ford. 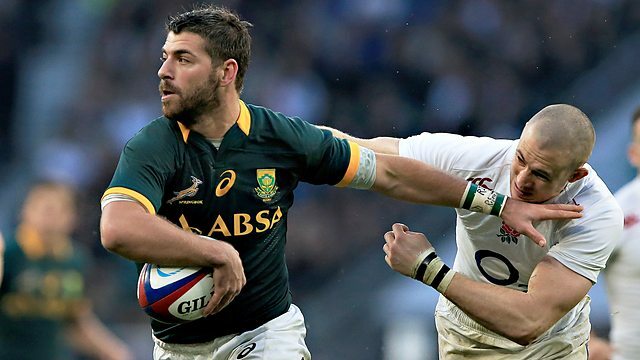 The new half-back pairing led to a quicker, more open and expansive brand of rugby which resulted in tries from dangerous runners such as Jonny May and Mike Brown. Both half-backs deservedly kept their place for the crunch match against Australia, with Ford once again pulling the strings in an impressive victory that gave England a welcome psychological boost going into the World Cup. Overall, the experience George Ford has gained over the last few weeks will prove invaluable – as he battle for the No.10 jersey with Farrell – to an England side which have once again showed their power up front, but will need to sort out the problematic midfield combinations if they are to challenge for the Webb Ellis Cup. Finally to Wales, who after years of agonising defeats to their Southern Hemisphere rivals finally got the monkey off their back with a 12-6 victory over South Africa which concluded a promising campaign. Starting off with an entertaining but disappointing 33-28 defeat to World Cup opponents Australia, Wales struggled to overcome a Fiji team who played the final 25 minutes with 14 men before finally overcoming the Pacific Island nation by 17 points to 13 in an error-strewn rugby match. At this point there was not much hope amongst Welsh fans. Despite running in four tries to Australia’s three, the performances at half-back were decisive as Australia pair Nick Phipps and Bernard Foley remained calm and composed taking the game away from a Wales team who had gifted Australia three tries with some criminal defending. In contrast errors from Rhys Webb and Dan Biggar proved crucial as they lost the battle of the half-backs as a tight affair swung in the Wallabies favour. The errors continued as Wales put in a desperately poor performance that somehow resulted in a four-point victory over an equally uninspiring Fijian side. The visit of the All Blacks seemed to galvanise the Welsh camp as they produced a resilient defensive performance and following Rhys Webb’s score went into the final 10 minutes leading the world champions by 16 points to 15. However a succession of substitutions led to the Welsh team losing their edge as class told in the end with New Zealand running in three tries to win by a flattering scoreline which did not reflect a fantastic contest of a test match. 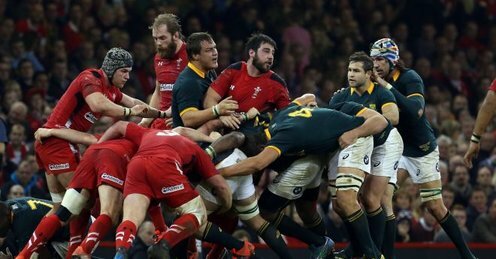 Inspired by the intensity of their defensive effort over 70 minutes against the All Blacks, Wales went into the final match against the Springboks determined to produce a full 80-minute performance, which they did. Led by a monstrous effort from an excellent pack, Wales managed to nullify the renowned power of the South African forwards, while in the back-line Dan Biggar produced a disciplined performance, with his kicking putting pressure on and forcing mistakes from South Africa’s backs. In the kicking battle Leigh Halfpenny had the beating of rival Pat Lambie, with four successful kicks to Lambie’s two proving the difference in an attritional battle. A huge collective effort saw Wales over the line with Sam Warburton and Samson Lee starring in the pack while Dan Biggar produced his best performance in a Welsh jersey and Jamie Roberts was back to his rampaging best. The performance at half-back in particular was crucial with Rhys Webb’s sharpness from the base of the rucks giving Wales vital momentum in attack while Dan Biggar’s kicking forced South Africa on the back-foot. The two half-backs significantly had the beating of rivals Cobus Reinach and Pat Lambie, who could not replicate their opposite numbers in allowing their side to put pressure on Wales. Ultimately, Wales have grown in performance through the series, culminating in that long-awaited Southern Hemisphere scalp, and can go into next year’s World Cup knowing that they can beat the best, but still need to provide more variety in attack to take their game to the next level. 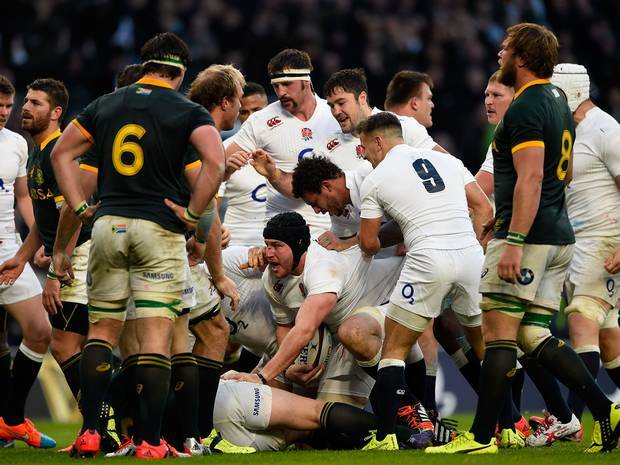 In the final analysis, the Northern Hemisphere sides will be delighted with victories over South Africa and Australia. Going into the World Cup, the fear factor of playing these sides has disappeared and each team knows they are capable of overcoming these sides. For fans of South Africa and Australia there will be great disappointment at tour performances which never really got going, and much work is needed to be done to rectify errors before the World Cup. However, in the grand scheme of things New Zealand have once again shown they are the side to beat. Despite some real tough test matches, they return home knowing they are favourites for the World Cup and know that if they continue at the level they are currently at, they are very likely to defend their crown. So are the likes of Ireland, England and Wales at the same level as those from the South? The answer unfortunately is no. Despite a disappointing autumn series for those from the South, they have still shown glimpses of class and individual skill through players such as Israel Folau, Willie La Roux and Julian Savea, that remind us that despite promising results, the Southern Hemisphere when playing to their full potential are still a level above. Despite this, the gap is definitely closing and this autumn series has proven that the Northern Hemisphere sides are capable, with a little bit of luck, of winning next year’s World Cup.